Durbin denounced the President’s actions in recent days, after Trump said he’s considering ending birthright citizenship by executive order. The President also sent about 5,000 troops to the US-Mexico border in response to a migrant caravan traveling north through Mexico. White House Press Secretary Sarah Sanders has refuted those claims, saying Democrats themselves have been obstacles to immigration reform and forced the President’s hand. 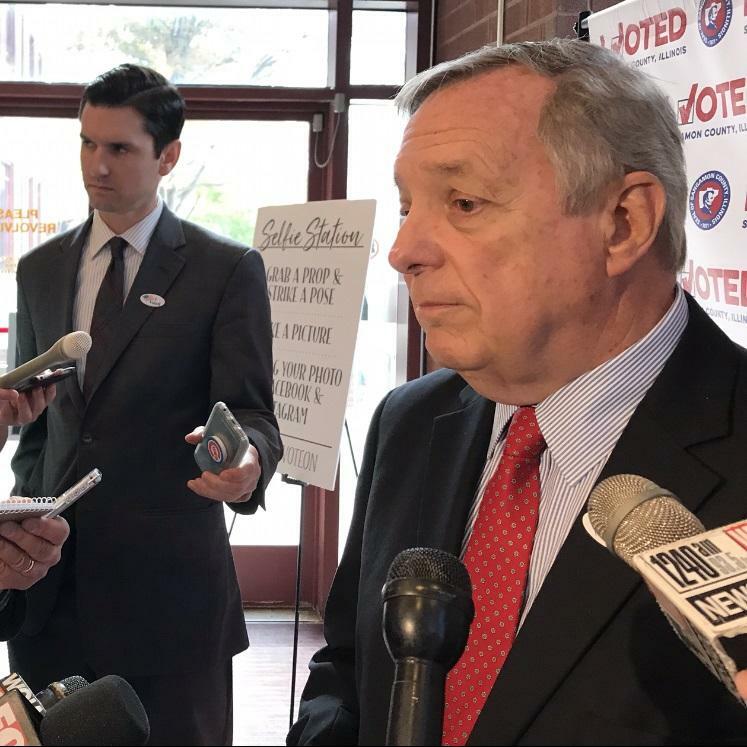 Durbin says he does believe in border security, though, and that anyone who’s in the country illegally and is “dangerous” should be deported immediately. The senator made the comments shortly after he cast his ballot at the Sangamon County Complex in Springfield. Though Election Day 2018 is still a few days away, early voting ballots continue to stream into Illinois election authorities. So far, nearly 750,000 voters statewde have cast their ballots, whether by mail or in-person. Durbin believes voters are so far turning out as much as in presidential years. Though early voting numbers are up, it could be a while before total turnout is known. The state allows mail in ballots to be counted up to two weeks after Election Day. Illinois voter registrations, however, are up significantly. Matt Dietrich of the Illinois State Board of Elections says about half a million more people are registered this year than in the last midterm election in 2014.